Manic D Press, 9781933149424, 158pp. 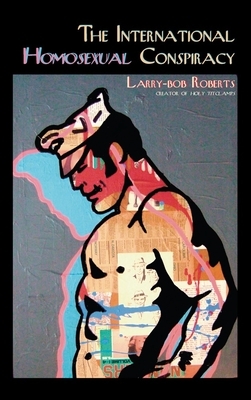 In this series of cultural polemics on an unexpected array of contemporary topics--from mistaken first impressions ("Presumed Hetero Unless Proven Gay") to sustainable yet unaffordable pants ("Socially Responsible Pants") to critiques of bourgeois mindsets ("Middle Class Writer")--author Larry-bob Roberts offers hilarious insight into the absurdities of modern life and queer culture. His humorous observations are destined to jostle readers' complacency and confirm their worst suspicions. Straight people need this book to find out what one of those freaky queers thinks. Mainstream gays need this book to learn that there are other ways of expressing homosexuality culturally. Non-mainstream queers need this book to see that someone is finally putting down in writing ideas that reflect their own points of view. Readers with short attention spans need this book because the chapters are easily digested, bite-sized pieces. Fans of satire need this book for a good laugh. Fundamentalist Christians need this book as evidence of the decadence of modern society. In a humorously confrontational way, Roberts entertains with a viewpoint that's not only raging, but also engaging. Larry-bob Roberts: Larry-bob Roberts is into sparking culture, politics, and creating fusions between the two. Since 1989, he has been publishing in print and now online the zine, Holy Titclamps! He currently plays piano in the band the Winsome Griffles, and maintains the online SF Bay Area weekly queer cultural calendar, Queer Things To Do, as well the QComedy website. With author Kirk Read, he co-hosts the long-running, popular monthly spoken word, music, comedy, and performance open mic "Smack Dab" at Magnet. He lives in San Francisco.